Jack Adkisson, patriarch of the famed Texas wrestling family the Von Erichs, died at his Denton County home Wednesday, about two months after he was diagnosed with cancer. He was 68. Adkisson, who went by the name Fritz Von Erich during a 35-year wrestling career, was diagnosed in July with lung cancer that had spread to his brain and adrenal glands. A statement from the family said he died of a brain tumor at his home in Lake Dallas, about 20 miles north of Dallas. 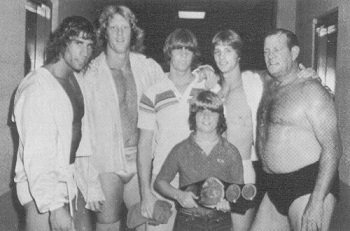 Five of Adkisson's sons -- Kevin, David, Kerry, Mike and Chris -- also wrestled under the Von Erich name. Jack Adkisson for years produced a syndicated wrestling show, World Class Championship Wrestling, that was seen in 66 U.S. television markets, Japan, Argentina and the Middle East. But in recent years, there has mostly been pain. Five of Jack Adkisson's sons preceded him in death. One died as a child in the 1950s, three committed suicide since 1987 and the fifth died apparently of a drug overdose in 1984. The only surviving son is the oldest, Kevin, 40. "We would like to express thanks to the fans and the community for their prayers, love and support," Kevin Adkisson said. "Dad loved them very much." David, probably the best wrestler of the sons, died at the age of 25 in 1984 from an apparent overdose while on a wrestling tour of Japan. Suicide claimed the lives of Mike, 23, in 1987; Chris, 21, in 1991; and Kerry, 33, in 1993. Another son, Jack Jr., died at the age of 7 in 1959 from electrical shock. "It hurt him desparately," said Tom Pulley, a longtime friend of the Von Erichs. "It's hard for any of us to imagine losing one son, much less five sons. It changed his life and it definitely took the wind out of his sails." 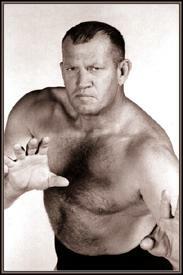 Until Fritz Von Erich retired in 1980, he was one of the stars of professional wrestling. The former Southern Methodist and Dallas Texans lineman stood 6-foot-4 and weighed 260 pounds. He turned to wrestling in the 1950s after being injured. The Von Erichs once wrestled in front of 40,000 people at Texas Stadium and regularly filled the arenas where they competed. In their heyday, the Von Erichs were the good guys of the wrestling world, vanquishing trash-talking, loudmouthed wrestlers in black garb. The continuing family tragedies brought them -- and their sport -- even more fame. Pulley said Fritz Von Erich had a vision for what wrestling could be on television. "What he did back in the '80s really started wrestling on television," Pulley said. "There's no question that the brains behind what you see today was Fritz Von Erich. It took wrestling from being a small regional sport to being international in scope, and I give him the credit for that." Jack Adkisson is survived by his son Kevin, daughter-in-law Pam, their four children and two other grandchildren. He and his wife, Doris, divorced several years ago. He is not related to long-time tag partner Waldo von Erich. - Ohio Title Tournament (May 12, '60) = Von Erich lost to the eventual winner, Ilio DiPaolo. - Bruiser vs. Karras (April 27, '63) = Von Erich beat Skyscraper Evans. - JWA Budokan Hall (December 3, '66) = Von Erich lost a "Three Falls" Match to the NWA International Champion, Giant Baba. - WCCW Turnpike Stadium (July 8, '67) = Von Erich lost a "Three Falls" Match to Gene Kiniski. Joe Blanchard was the special referee. - WCCW Turnpike Stadium (August 3, '68) = Von Erich lost a "Texas Death" Match to the NWA World Heavyweight Champion, Gene Kiniski. - NWA Texas Parade of Champions (June 24, '72) = Von Erich went to a Draw with NWA World Champ, Dory Funk Jr.
- WCCW Wrestling Star Wars (March 15, '82) = Von Erich defeated the Great Kabuki. - WCCW Fritz Von Erich Retirement Show (June 14, '82) = Von Erich won the NWA/WCCW American Heavyweight Title. Due to his retirement, Von Erich vacated the belt that same day. - WCCW 1st Annual Von Erich Memorial Parade of Champions (May 6, '84) = Fritz, Kevin, & Mike von Erich won the WCCW Six Man Tag-Team Titles from the Fabulous Freebirds. Fritz immediately gave up his share of the title to Kerry von Erich. - WCCW Thanksgiving Star Wars (November 27, '86) = Von Erich won a "Submissions" Match, via DQ, over Abdullah the Butcher. - WWE Wrestlemania XXV (April 5, '09) = Fritz was inducted into the WWE Hall of Fame.